When you are in the process of selling your home, you may need to disclose certain information about the property to prospective buyers. At Pulgini & Norton, our real estate lawyers assist home owners in the sale of their Boston property. We can answer your questions about what information you need to disclose to buyers, and advise you throughout the home sales process. Buyers should conduct their own due diligence before purchasing real property, but sellers are required by law to make certain disclosures. 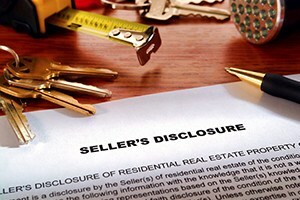 In some states, sellers have to provide buyers with a seller’s disclosure form. The form is a statement from the seller that answers questions about the property’s conditions, such as its zoning classification and whether the property has any structural defects. A prospective buyer may receive the form as early as the first viewing, but it is usually provided at some point before the purchase and sale agreement is signed. By contrast, Massachusetts does not require sellers to provide a disclosure form or statement to potential buyers. If you work with a real estate broker or agent, he or she may ask you to complete a statement that will include a provision that indemnifies the broker or agent for any misstatements or errors on the form. Although a disclosure statement is not required, the state does mandate the disclosure of two types of information to any prospective buyer: the existence and hazards of lead paint, and the presence of a septic system on the property. Sellers in Massachusetts must disclose the presence of lead to prospective buyers. Under both state and federal laws, a seller must inform prospective buyers of any lead hazards in the property’s paint, plaster, or other structural materials. A seller has to provide a buyer with a copy of the state’s property transfer lead paint notification, which informs prospective buyers of the dangers of lead paint, the right to a lead paint inspection, and liability for the seller’s failure to comply with the law. The seller, buyer, and broker or agent must also sign a property transfer notice certification before the purchase and sale agreement is executed. By signing the form, each party acknowledges the truth and accuracy of the information it either received or provided to comply with the lead paint law requirements. You must tell a prospective buyer if the property is being serviced by a septic system instead of a public sewer. Title 5 of the state’s environmental code requires a septic system inspection whenever there is a transfer of property to a new owner, either by sale or transfer of title, unless there is an exemption for the specific type of transfer. For instance, a change of title does not require an inspection if the property is residential and the transfer is between you and your spouse, or you and your child. Otherwise, you are responsible for an inspection of the system. The buyer is entitled to receive a copy of the inspection report. If the report shows any problems with the system, you will need to get it repaired before the closing. If you cannot get the repairs done before then, the buyer may try to cancel the sale, or you may need to put additional money into escrow to fix or replace the system. You do not need to tell a prospective buyer if your property is “psychologically impacted.” A property is psychologically impacted if it had a resident with AIDS or HIV, was the site of a homicide, suicide or felony, or is allegedly haunted. However, if the prospective buyer asks, you must disclose this information. The property transaction attorneys at Pulgini & Norton have more than 40 years of collective experience in the Boston area representing home owners and buyers in real estate matters. If you are selling your home, we can offer you effective and skilled legal guidance throughout the sale process. Our attorneys represent home owners in Andover, Cambridge, and Hyde Park, among other communities throughout the state. For a consultation, give us a call today at 781-843-2200, or you can contact us by filling out our online form.